Farm Loader Transportation Services in All 50 States! Tractor Transport has garnered a reputation from our clients as one of the most dependable and versatile hauling services around. Talk to Tractor Transport to ship your farm loader anywhere in the US, Canada or Mexico. Depend upon us to ship your farm loader where you want it, when you want it. Talk with one of the experienced logistics professionals at Tractor Transport today, (877) 373-0109. 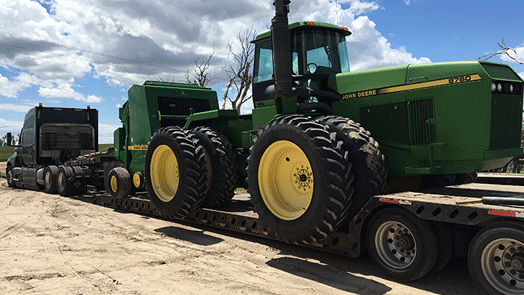 Tractor Transport recently hauled this John Deere 6130D Loader from Amarillo, Texas, to La Vernia, Texas. The intrastate trip was about 530 miles long. Weight: 15,500 pounds. Length: 29 feet. Width: 8 feet 6 inches. Height: 9 feet. 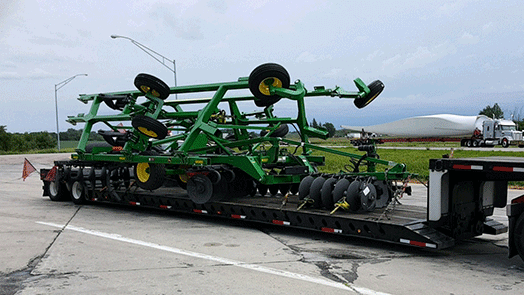 To haul your John Deere loader to its next destination, speak with Sam at Tractor Transport directly at (954) 703-1105. 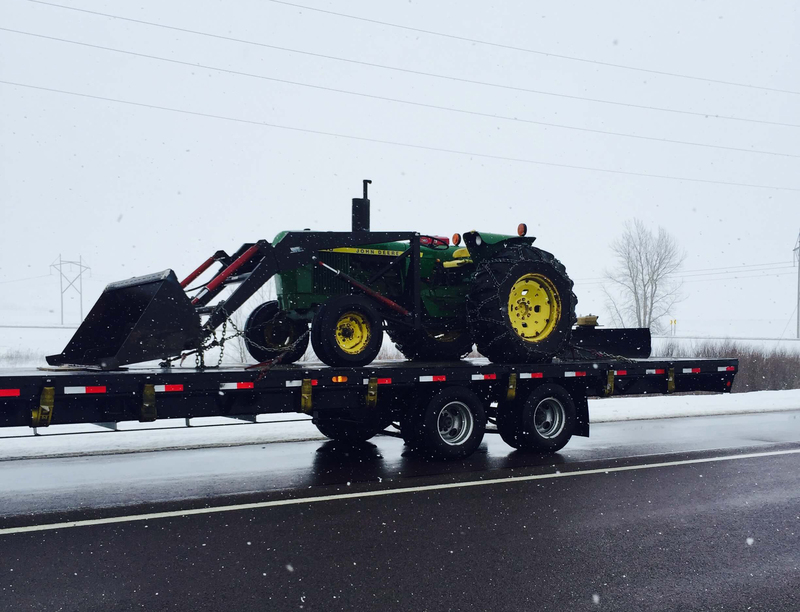 Tractor Transport recently shipped this John Deere loader from Stratford, Wisconsin, to Peyton, Colorado. 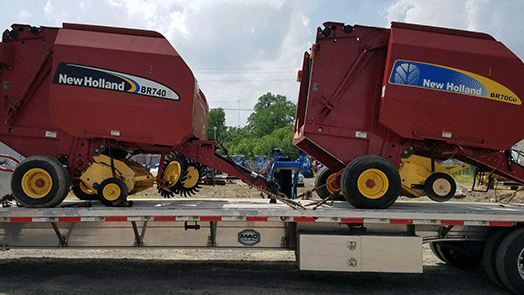 The loader traveled nearly 1,050 miles on a hotshot trailer. Weight: 14,000 pounds. Length: 13 feet. Width: 6 feet. Height: 6 feet. 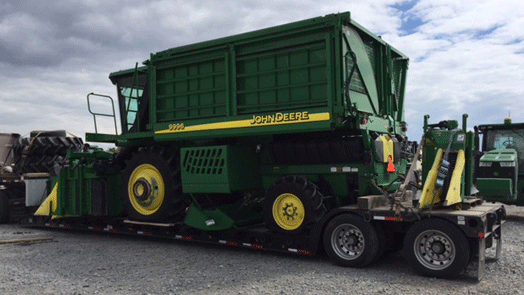 To ship your John Deere loader to its next destination, call Brian at Tractor Transport directly at (954) 603-1344. 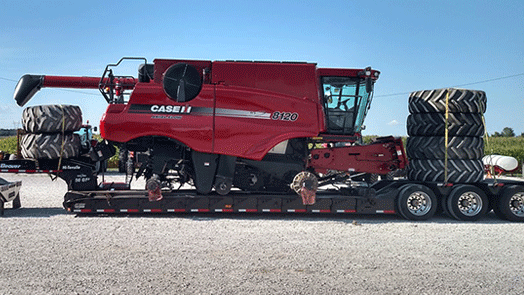 Tractor Transport recently transported this CaseIH Maxxum 125 Loader from Paris, Texas, to Marysville, Kansas. The move was a little more than 500 miles long. Weight: 12,000 pounds. Length: 15 feet. Width: 9 feet. Height: 9 feet 6 inches. To transport your Case loader, call Ty at Tractor Transport directly at (954) 839-8629. 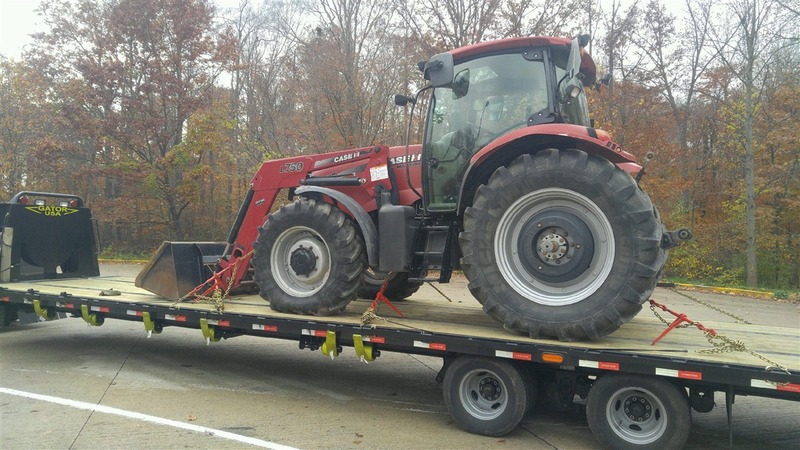 Tractor Transport recently hauled this CaseIH Maxxum 115 Loader from Dorr, Michigan, to Brunswick, Missouri. The trip covered nearly 550 miles. Weight: 13,000 pounds. Length: 24 feet. Width: 8 feet 5 inches. Height: 9 feet 6 inches. To haul your Case loader, call Ty at Tractor Transport directly at (954) 839-8629. 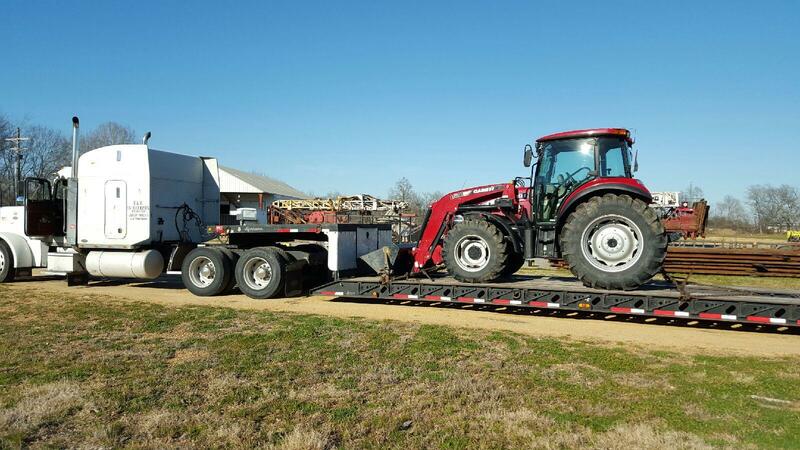 Tractor Transport recently hauled this CaseIH Farmall L85 Tractor with a L630 Loader from Ferriday, Louisiana, to Talbott, Tennessee. The trip covered 650 miles. Weight: 8,000 pounds. Length: 12 feet 4 inches. Width: 7 feet. Height: 8 feet 5 inches. 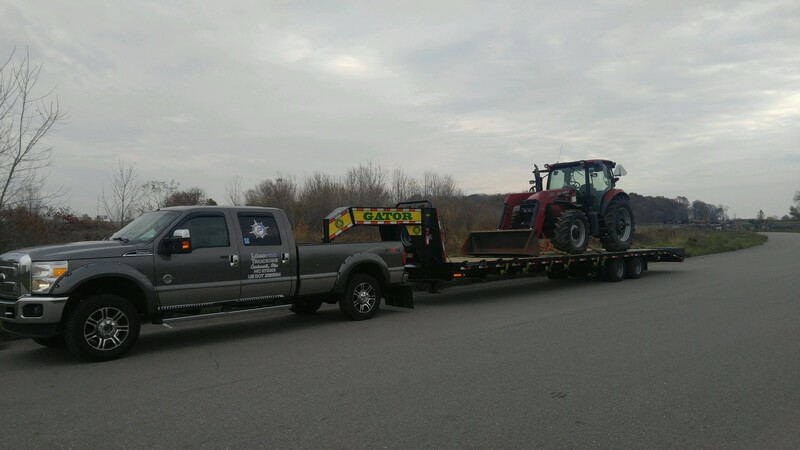 To haul your Case tractor to its next workstation, call Mike at Tractor Transport at (954) 603-2324. 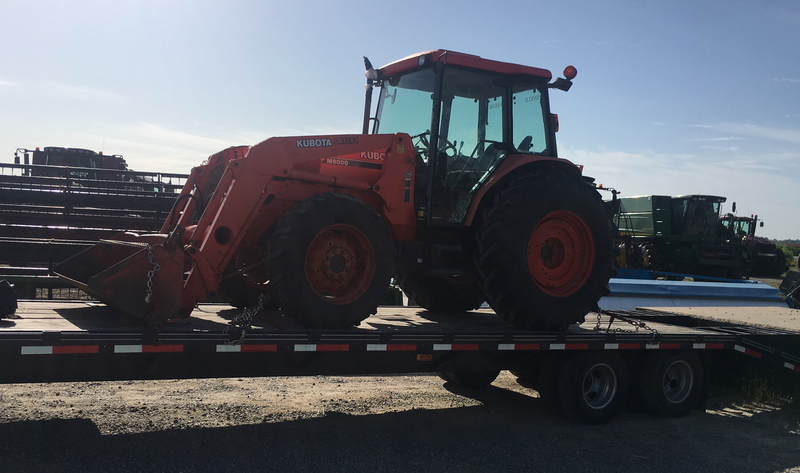 Tractor Transport transported this Kubota L3000DT Loader from Winslow, Arkansas, to Hallettsville, Texas, on a hotshot trailer. The transport, which included a Land Pride shredder and a Land Pride box blade, was 370 miles long. LT300 DT specs - Weight: 26,000 pounds. Length: 19 feet. Width: 5 feet. Height: 5 feet. To ship your Kubota loader anywhere in the US, Canada or Mexico, call Ty at Tractor Transport directly at (954) 839-8629. 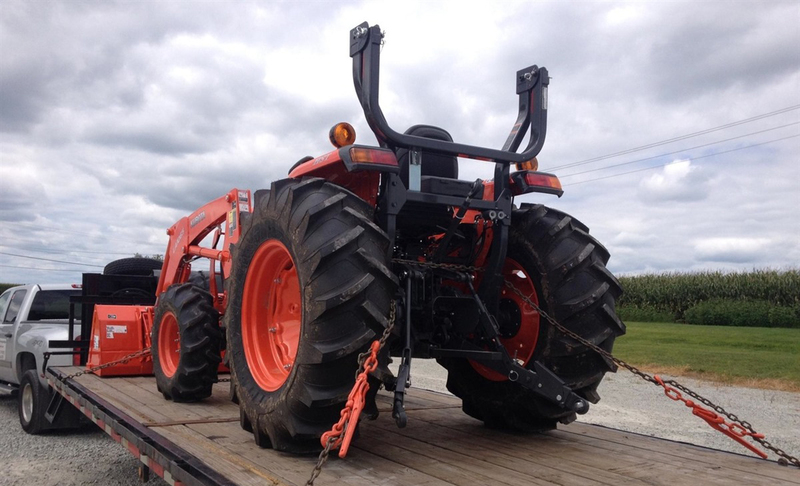 Tractor Transport recently shipped this Kubota MX135GXDTX Loader from Savannah, Missouri, to Morris, Illinois. The trip was about 450 miles long. Weight: 12,500 pounds. Length: 18 feet. Width: 7 feet 6 inches. Height: 8 feet 9 inches. 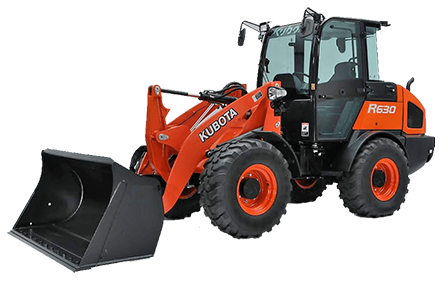 To ship your Kubota loader, call Mike at Tractor Transport directly at (954) 603-2324. 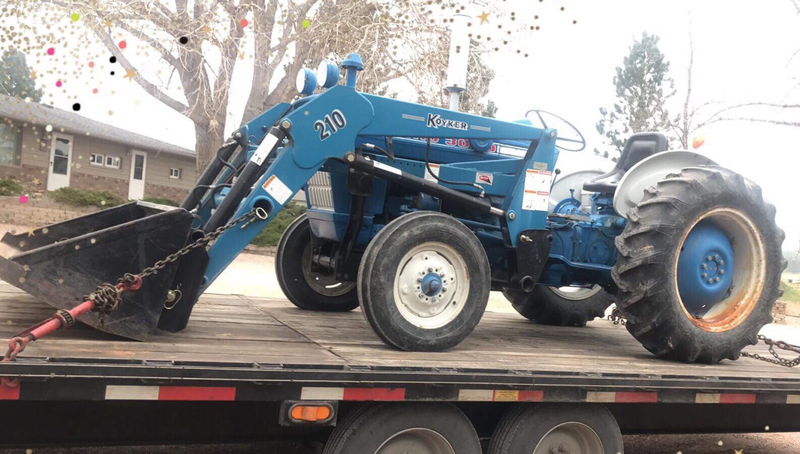 Tractor Transport recently hauled this Kubota M900 from Dunnigan, CA to Compton, CA. Tractor Transport not only specializes in state to state transport we also handle in state transportation as well. 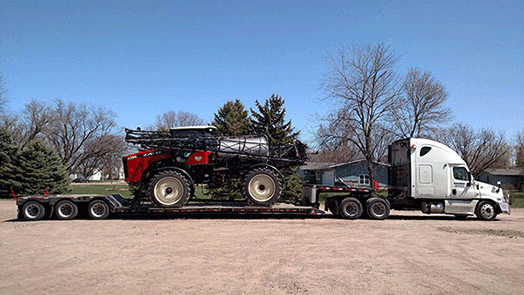 Jason at Tractor Transport was able to arrange this shipment for one of his repeat clients. 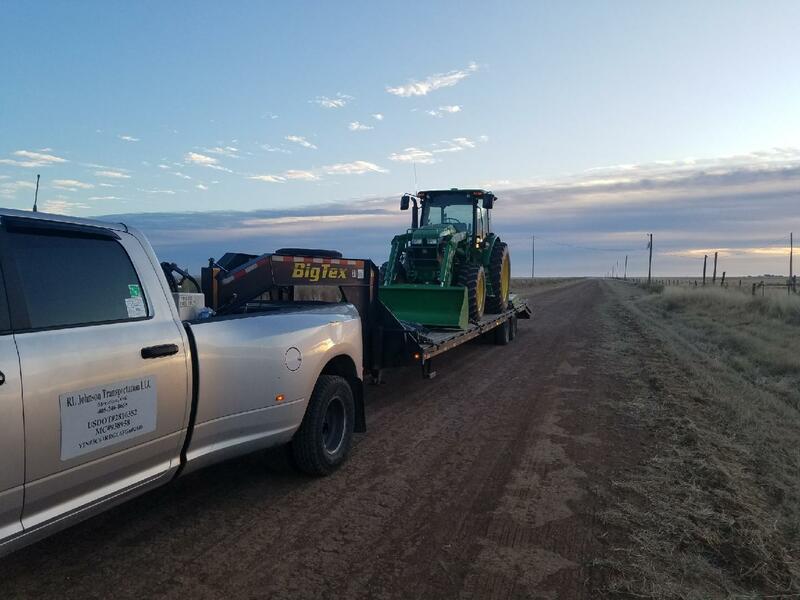 If you need a tractor transported anywhere in the United States, Canada or Mexico call Jason today! (954) 603-2322. 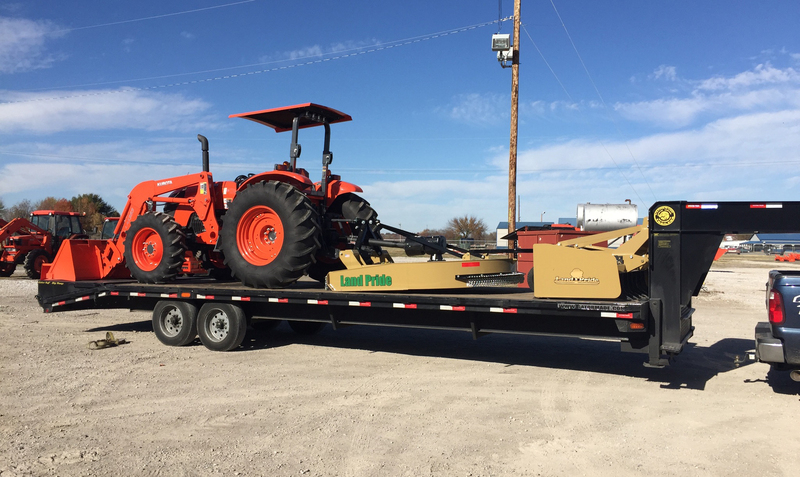 Tractor Transport transported this Yanmar 4220 loader from Mesquite, Texas, to Loveland, Colorado. Our driver was able to keep the Howse mower attached for the journey. The trip was 840 miles long. Weight: 4,500 pounds. Length: 15 feet. Width: 5 feet. Height: 6 feet. 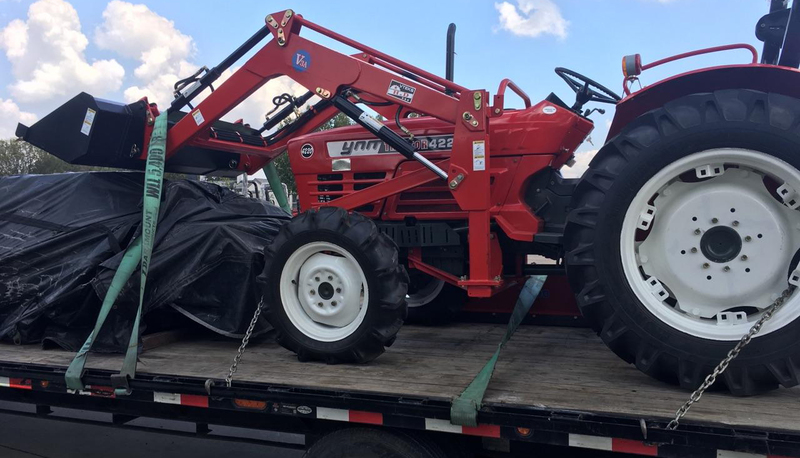 To transport your Yanmar loader anywhere in the US, Canada or Mexico, speak with Ty at Tractor Transport directly at (954) 839-8629. 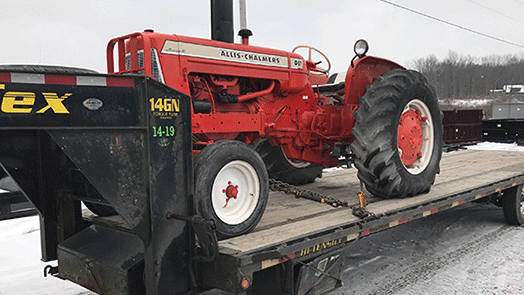 Tractor Transport was able to transport this 1971 Ford 3000 Tractor/Loader from Rapid City, SD to Calmar, IA. This transport was about 610 miles. The tractor weighed only 3,100 pounds it was 16 feet long, 6 feet wide and 7 feet high. Here at Tractor Transport we know time is valuable that is why we try to get our shipments delivered on time. This was picked up and delivered in 2 days. 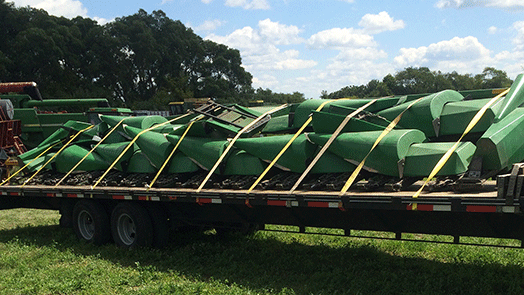 If you need any of your farming equipment transported give Travis a call at (727) 388-4339. Also called agricultural loaders, front-end loaders are attached to tractors for use on a farm. Wheel loaders, usually employed on construction sites, are self-propelled machines that are more powerful than tractor-mounted front-end loaders. Skid steers, which also are equipped with a front-end loader, are four-wheel drive machines that offer more maneuverability than tractor front-loaders. Skid-steers that utilize tracks instead of wheels are called multi-terrain loaders. Choose Tractor Transport to ship your farm loader. Front-end tractor loaders, as well as wheel loaders, generally ship aboard step-deck trailers or RGN trailers. Most farm loaders are too tall to travel on flatbed trailers. Also, the drive-aboard features of step-decks and RGNs makes loading these machines much easier. Smaller loaders, such as skid steers and Bobcats, likely can travel aboard flatbed trailers. They’re too heavy to lift without a forklift, so you’ll need a dock to load your loader aboard a flatbed. Otherwise you’ll need a trailer you can drive your loader aboard, such as a step-deck or a RGN. Our most versatile and commonly used trailer by far is the standard flatbed trailer, made evident by the sheer number of them on the road every day. A great aspect of flatbed trailer shipping is the stability of the bed and the fact that these common carriers come in a wide variety of sizes and dimensions. A flatbed trailer, as the name suggests, is marked by a flat trailer surface that's able to be loaded with stability by balancing and securing cargo on the outside edges of the trailer. The Removable Gooseneck (RGN) trailer has a detachable front end that turns the trailer into a ramp. Past the detachable section of the trailer, RGNs are equipped with a double drop formation that lends the payload an extra amount of height, usually around 12 extra inches. The variable nature of the RGN trailer allows it to accommodate cargo that is more difficult for less flexible trailers. Referred to as a "detach", the RGN is ideal for transporting less than standard cargo, equipment that is longer, taller, or otherwise a non-normal size. Similar to the standard Removable Gooseneck Trailer, the extended RGN has an added section for additional length and capacity for particularly tricky transport jobs. When cargo is too long for the standard Removable Gooseneck (RGN), we sometimes employ the extended RGN. Like the standard RGN, the back portion of the stretch RGN is removable, creating a convenient ramp. The extended RGN has a versatile extension feature that allows it to meet an increased number of length requirements for cargo. Main Deck Length 29 ft. - 65 ft.
A drop deck, or "step deck" trailer resembles a standard flatbed model with a single drop in order to give the trailer the capacity for more cargo height. This is especially advantageous when the payload exceeds the standard height requirements for a regular flatbed. This is especially advantageous when the payload exceeds the standard height requirements for a regular flatbed. For especially large or oddly sized pieces of equipment, the drop deck trailers present a uniquely ideal solution; tractors, farming combines and large construction and industrial equipment. When a job necessitates a trailer that can carry an irregularly long piece of equipment or cargo, we employ the extended drop deck trailer. Like a flatbed with either a single or a double attached gooseneck, the extended drop deck gives the user capacity for additional height and length to meet the needs of a specific cargo load. Typically, the extended RGN is more flexible than the standard RGN, so it's only used when absolutely necessary. A lowboy is one of the lowest trailers to the ground, as its name suggests. 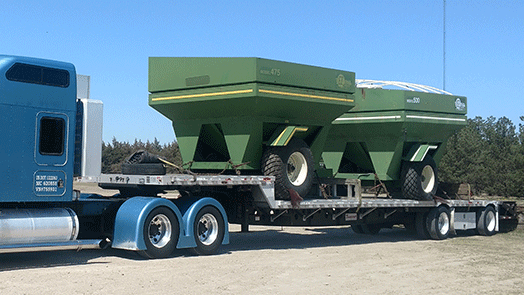 Many heavy hauling tasks are carried out with the help of the lowboy trailer because of its use for extremely large, heavy, and oversized or over-dimension equipment. Typically when you see a sign that says "Oversize Load" on the interstate, the cargo being hauled is done so with a lowboy trailer. Many shippers use lowboy models as their top choice for these jobs due to their capacity to carry extremely heavy weights of cargo, and their stability as the lowest, off-the-ground option. Booking a shipment with us is easy. Our knowledgeable staff of transport specialists are ready to meet your shipping needs, and answer any questions you may have. Call Now: (877) 373-0109. Our business hours are Monday through Sunday 8:00 AM to 8:00 PM EST. Fill out the quote form to the right, and we will email you an up to date rate. For the fastest, most accurate, no hassle estimate - contact us by phone.